My Comments: Some people made good decisions along the way and now have significantly large IRA accounts. Some people I know have little need for the money to maintain their existing standard of living. If this is you and would like to find a way to NOT take money every year and pay the IRS a sizeable chunk of your retirement nest egg, there is now a way to defer some of the taxes. 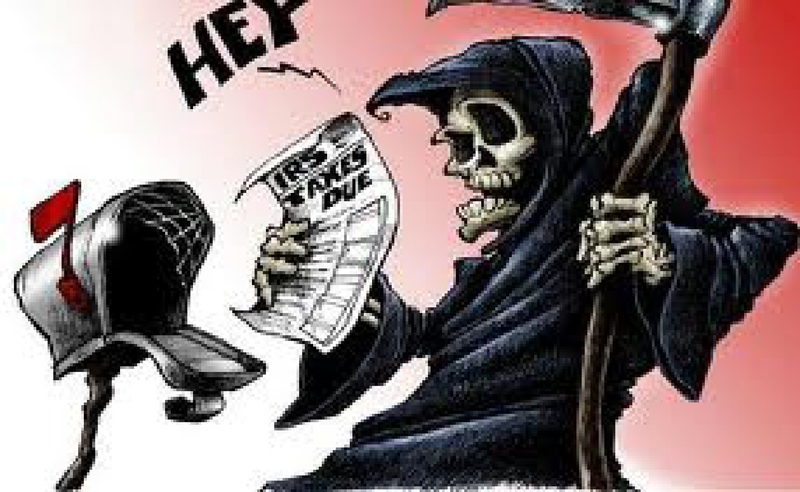 You can’t avoid the truism about the inevitability of death and taxes, but you can delay it. This article explains your new option. If you’d like to know more, send me an email or give me a call. I can help make it happen for you. Qualified longevity annuity contracts (QLACs) were approved on July 1 of this year for use in Traditional IRAs, 401(k)s, and other approved retirement plans. The ruling allows you to use 25% of your individual retirement account, IRA, or $125,000, whichever is less, to fund a QLAC. That dollar amount is excluded from your required minimum distribution, RMD, calculations, which could potentially lower your taxes. As an example, if you have a $500,000 Traditional IRA, you could fund a $125,000 QLAC under the current rules. Your RMDs (Required Minimum Distributions) would then be calculated on $375,000. QLACs allow you to defer as long as 15 years or to age 85, and guarantees a lifetime income stream regardless of how long you live. Legacy benefits for both spouse and non-spouse beneficiaries guarantee that all the money will go to your family, not the annuity carrier. QLACs are longevity annuity structures, which are fixed annuities. Also referred to as deferred-income annuities (DIAs), the QLAC structure has no market attachments, and fully protects the principal. Depending on the carrier, you can attach a contractual COLA (cost-of-living adjustment) increase to the annual income or a CPI-U, Consumer Price Index for All Urban Consumers, type increase as well. QLACs are fixed annuities, and have no annual fees. Commission to the agent are built into the product, and very low when compared with fully-loaded variable or indexed annuities. QLACs are pure transfer of risk contractual guarantees, and agents cannot “juice” proposal numbers. Because of the QLAC premium limitations, this strategy should be used as part of your overall income laddering strategies, and in combination with longevity annuities in non-IRA accounts. Variable and indexed annuities cannot be used as a QLAC, which is a positive for the consumer in my opinion. Only the longevity annuity structure is approved under the QLAC ruling. QLACs work similarly to your Social Security payments by guaranteeing a lifetime income stream starting at a future date. The QLAC ruling allows the premium amount to be indexed to inflation. That specific amount is $10,000, and should increase by the amount every three to four years. Because of the reserve requirements to back up the contractual guarantees, only the large carrier names most people are familiar with will offer the QLAC version of the longevity annuity structure. I have recently written an easy to read QLAC Owner’s Manual that clearly explains the law and what you need to know to make an informed decision. In my opinion, it’s worth your time to take a closer look.